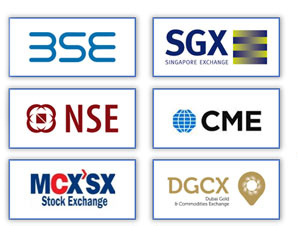 We are one of the Leading Market Maker in various Exchanges. Market-making is aimed at infusing liquidity, Quote and order book in various segments that are not frequently traded on ill-liquid stock Exchanges. A Market-Maker is responsible for enhancing the demand supply situation in securities such as Stocks lIquidity, Quote, order book, Commodity, Currency and Futures & Options (F&O).To understand this concept better, it would be helpful to have an idea about the existing screen based electronic trading system as well as manual trading. In this system , orders placed by buyers and sellers are matched by a computer system (run by stock exchanges).